Our social workers conduct bi-weekly street visits to identify new street children and engage with previously identified children. These visits include one on one interaction with each child, group counseling, discussions regarding children’s rights, and the provision of emergency medical care for minor cuts and injuries sustained on the streets. This is also a great time for the children to meet and build trust with Atin staff. 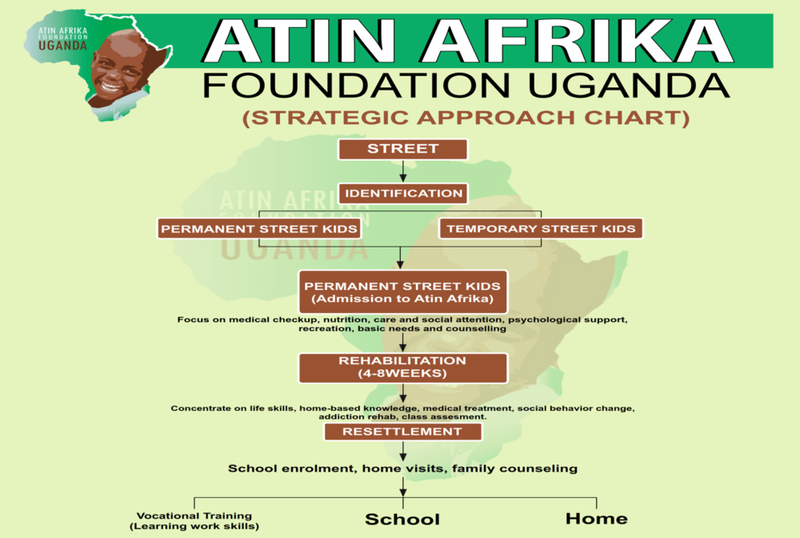 Our social workers work with the children living at Atin Afrika Monday to Friday, providing them with counseling and guidance both as a group and on an individual basis. They discuss issues such as substance abuse, HIV/AIDS, peer influence, problems at home, and conflict resolution. We also engage district officials from the child protection unit of the police, the probation office, and all stake holders within the community to sensitize children to the dangers of conflicting with the law. 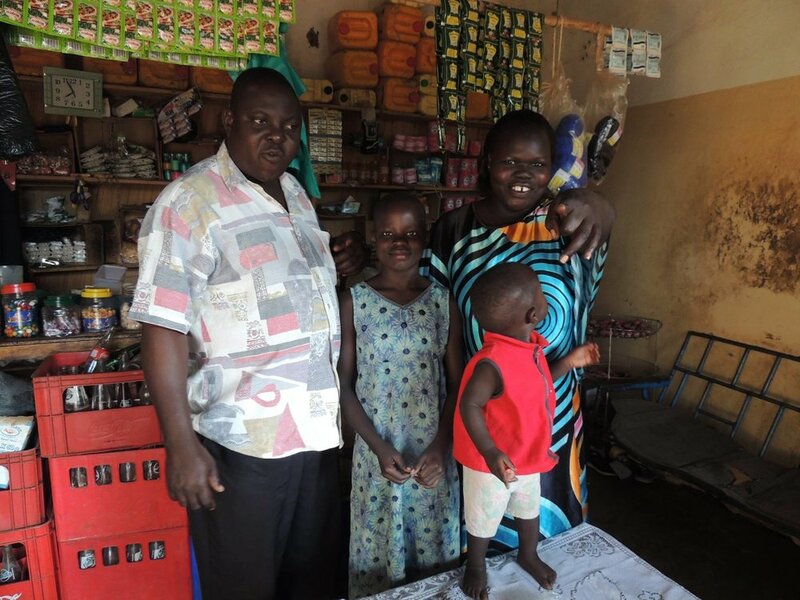 Family reunification and resettlement is the most integral part of our program. We treat each case as unique and tailor our work to the individual child. 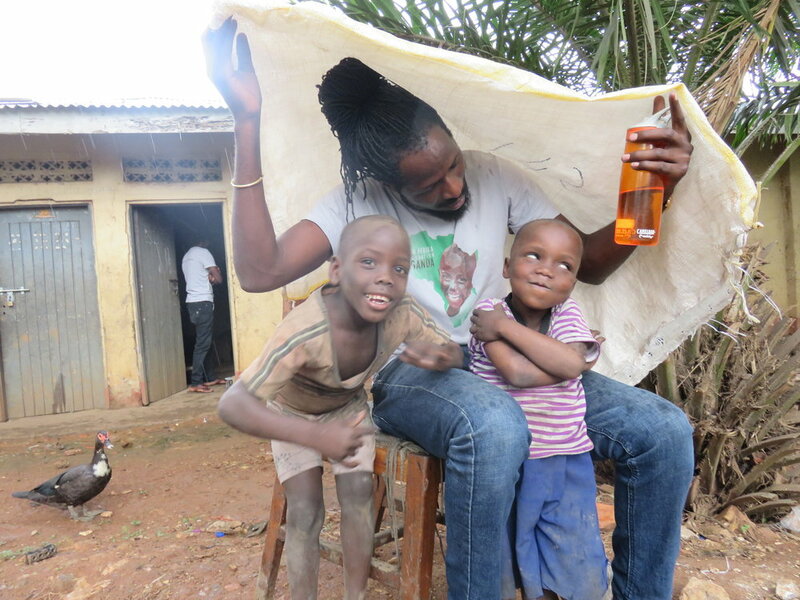 Through family mapping and interviews we work with each child to identify the best caregiver for them. They are placed with a guardian where they feel safe and loved. Street Children are exposed to violent, harmful and unhealthy situations that drive substance use as a means of pain reduction. We have a part time nurse practitioner that helps examine children and youths on their level of substance consumption and many other diseases. We also liaise with numerous doctors at the main hospital who facilitate subsidized minor surgeries such as septic wounds, deep cuts, jiggers, and chronic illnesses. Lastly, when they are admitted into the Atin rehab center all children at Atin Afrika are taken to the AIDS Information Centre for HIV/AIDS (and other disease) testing and counseling.